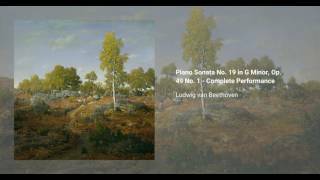 Beethoven's 19th and 20th piano sonatas form his Op. 49 (respectively numbers 1 and 2). They are short, relatively simple pieces, and it is often said that their 1805 publishing was made out of economic urgency by the composer. 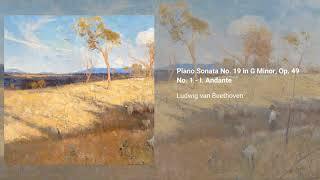 They are referred to as the Leichte Sonaten (Easy Sonatas) and were most likely composed by Beethoven as teaching pieces meant to be passed around to his friends and students. Later, his brother decided they were worth and took them to a publishing house. 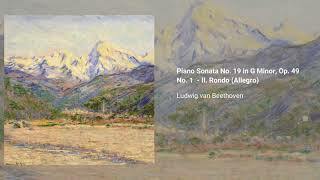 It is believed that, had Beethoven himself released this sonatas for publication, he would have called them sonatinas, owing to its modest proportions.